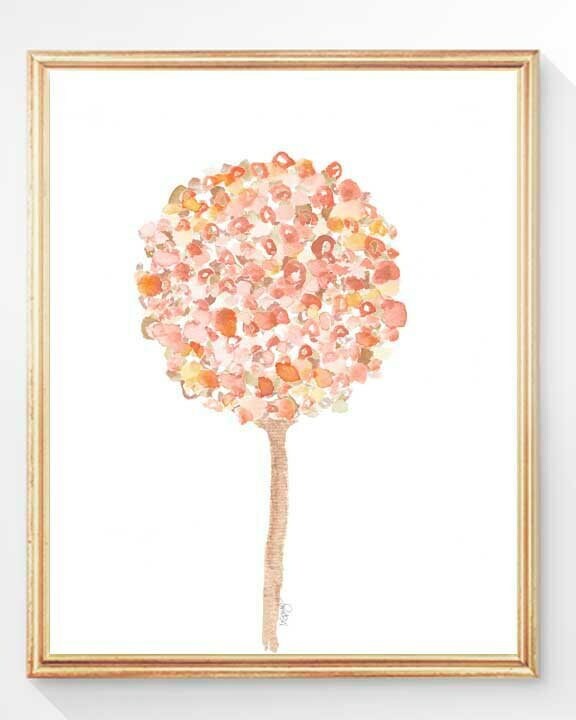 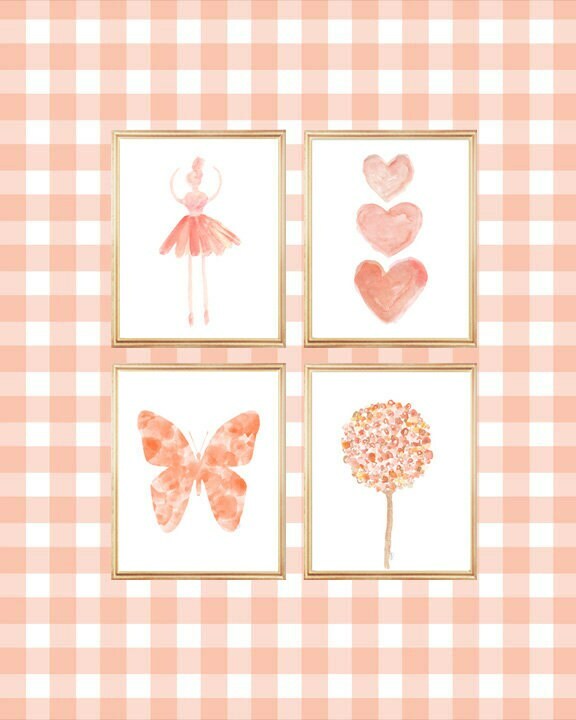 A very girly gallery wall for your sweet one. 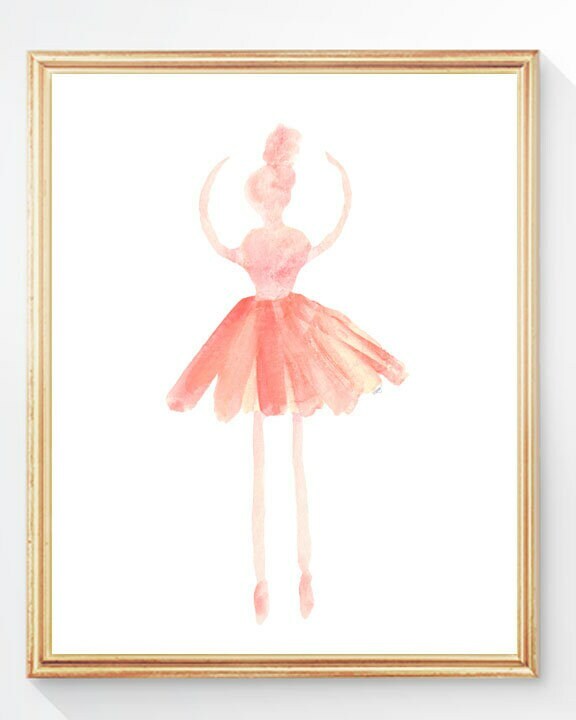 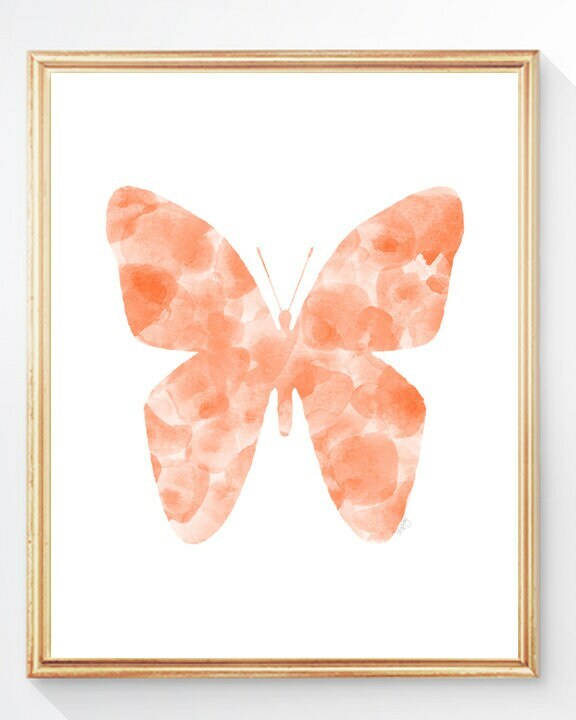 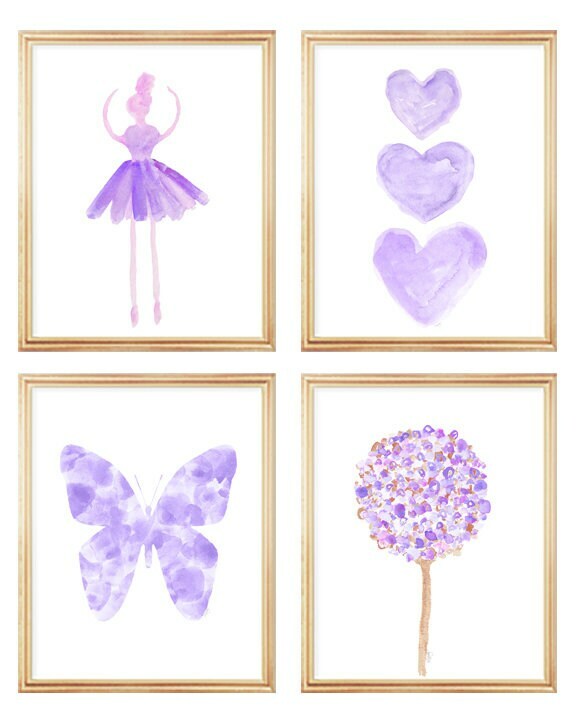 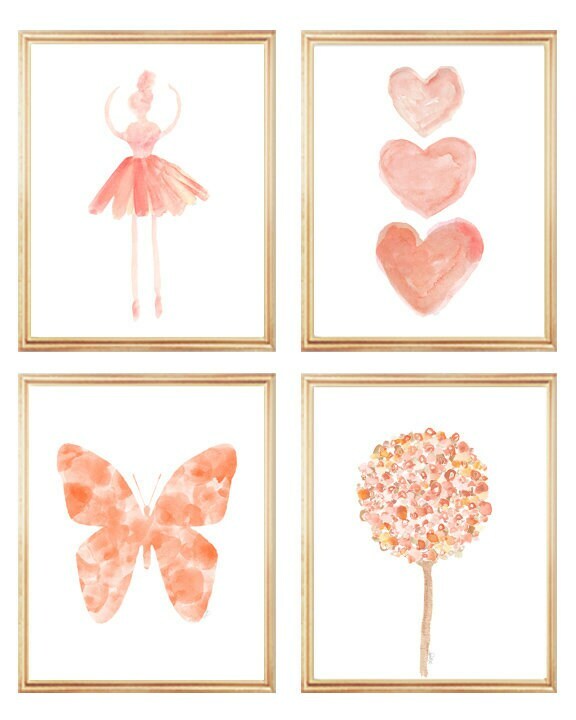 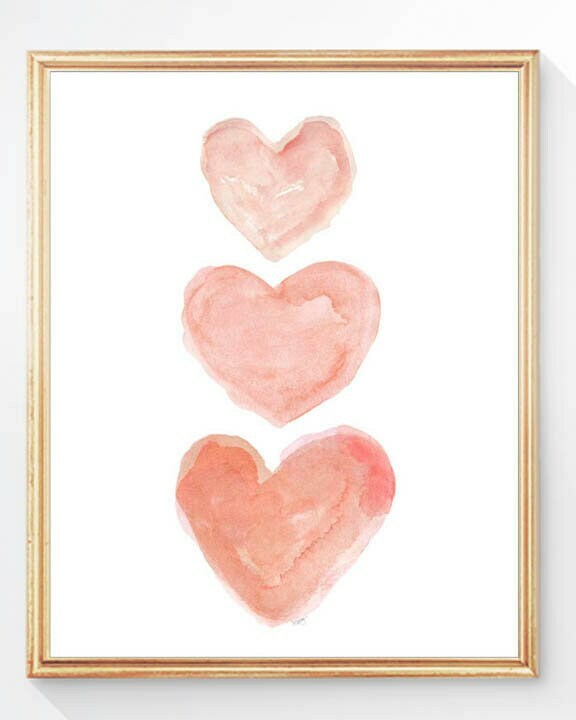 This set of 4 coral watercolor watercolor prints feature a pretty butterfly, a stacked heart trio, a prima ballerina and a curly flower for a set of 4 prints perfect for a sophisticated space. 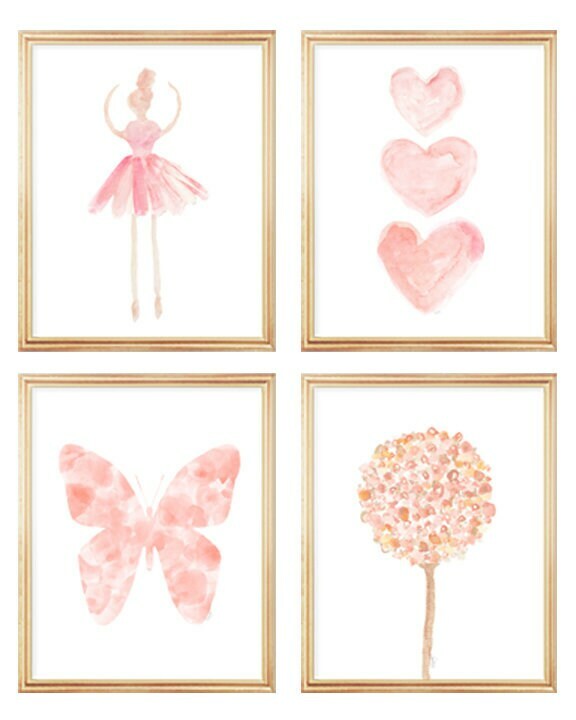 Each are recreated from my original watercolor paintings. 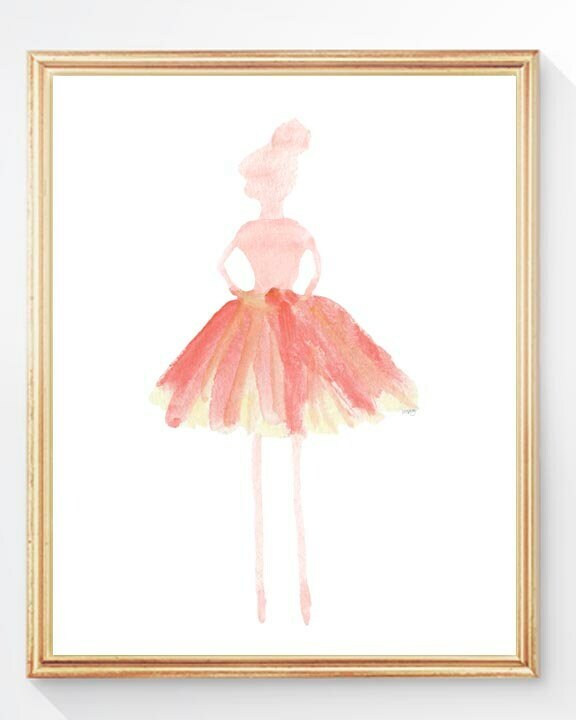 © 2013 -2018 Michele Spurza All rights reserved.